Speir notes that the effects of infestations can come in many forms, with the most common being reduced milk production, reduced weaning weights, delayed puberty, lower fertility and pregnancy rates, reduced feed intake, diarrhea, anemia, and immune suppression. While producers are familiar with using dewormers to prevent or break the cycle, parasites have grown more resistant to chemical controls. Speir explains why proper pasture management is a more effective method of control in a recent UGA Forage Extension Team website post. “Good pasture management related to managing internal parasites requires an understanding of the life cycle and preferences of the most problematic internal parasites,” Speir says. Roundworms, or nematodes, are the most common parasite producers deal with. He explains that these have a direct life cycle, which means that its completion only requires one host and that most internal parasites are host specific, meaning they only target the one species. That said, sheep and goats are more similar and prone to sharing the same parasites. While the barber pole worm is most common in smaller ruminants, the brown stomach worm is more specific to cattle. Although parasites are internal, their eggs leave the host and hatch inside of feces. 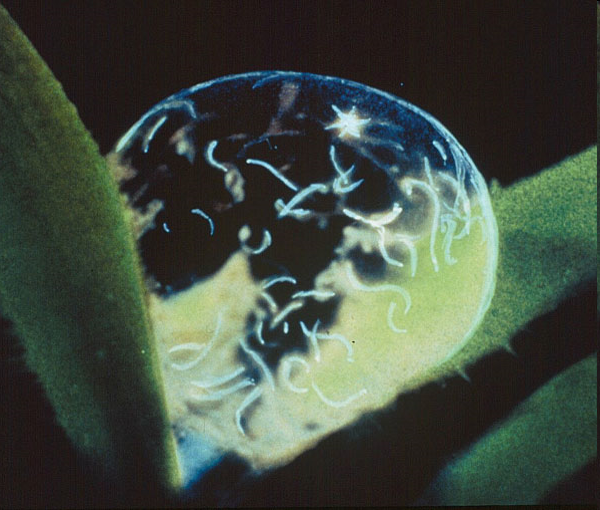 From there, they will begin to travel up blades of grass in order to be ingested and begin the cycle of developing, maturing, and reproducing within the host. Speir notes that warm and wet conditions are most favorable for hatching and development. Speir offers four tips for better pasture management to help reduce parasite pressure. Aside from the obvious issues that come with overstocking pastures, from a parasite standpoint, Speir explains that the resulting shorter forages will raise the likelihood of ingestion. The simple solution to this is keeping forages at a healthy grazing height and determine the appropriate stocking rate to lessen grazing pressure. “Rotating livestock through different pastures helps to reduce parasite pressure by removing animals before parasite eggs hatch and larva are ingested,” Speir says. He continues with an example of H. contortus, a parasite with a life cycle of three to six weeks and an egg drop to larvae hatching time frame of four to five days. Animals moved within three to four days, or before larvae hatch, are less likely to ingest parasites before rotating on. 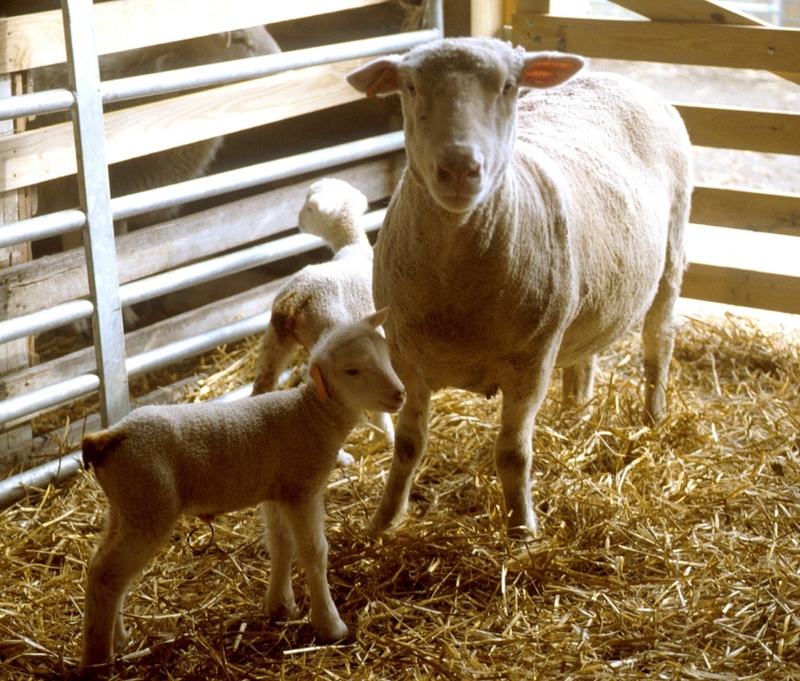 If possible, allow parasite larvae to die by keeping livestock off of a pasture for four to six weeks between grazings, Speir adds. Life cycles are all relative to moisture conditions and the time of year. “To ensure that a pasture is totally ‘clean’ of parasites, it should not have been grazed by livestock for 12 months, or the ground has been prepared for planting of a crop or utilized as a hayfield,” Speir says. As mentioned earlier, many common internal parasites are host-specific. “This means that cattle can help ‘break’ the cycle for sheep or goat parasites by ingesting them, but not providing an environment where they will reproduce — the same is true for cattle and horses by bringing in sheep or goats,” Speir says. This can be done either simultaneously or through alternation of species to achieve the same results. He adds that utilizing different species is also beneficial in reducing the amount of weeds. By using a diverse array of legumes or summer annuals, producers can see a boost in forage quality and thus a rise in animal health and nutrition. Speir explains that this helps reduce the stress caused by internal parasites and even cuts the prolificacy of a parasite population. He even states that some crops are bioactive, which means that they provide a medicinal effect to fight infestations. Among these are chicory and sericea lespedeza, crops typically very useful in sheep and goat operations. Posted by Braden Campbell at 8:00am April 6, 2018 Posted in Parasites and tagged Forages and Pasture, Health, Parasites. Bookmark the permalink.